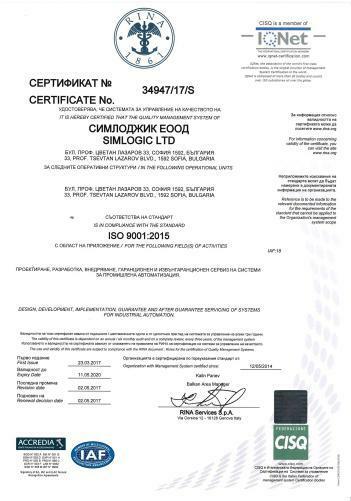 Simlogic Ltd is in compliance with the standards For the following fields of activities: Design, development, implementation, guarantee and after guarantee servicing of systems for industrial automation. 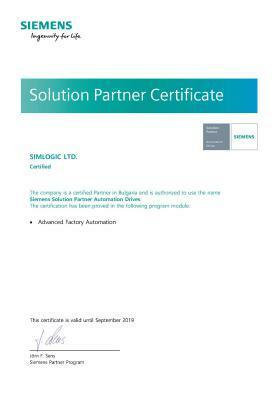 Simlogic Ltd is certified as Siemens Solution Partner Automation Drives – section Advanced Factory Automation. 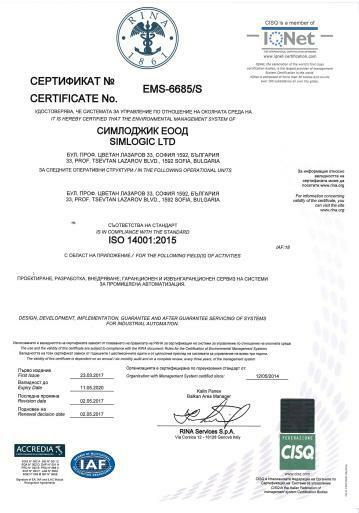 Simlogic ltd is certified By Schneider Electric – Bulgaria as Process Automation and Energy Management System Integrator. 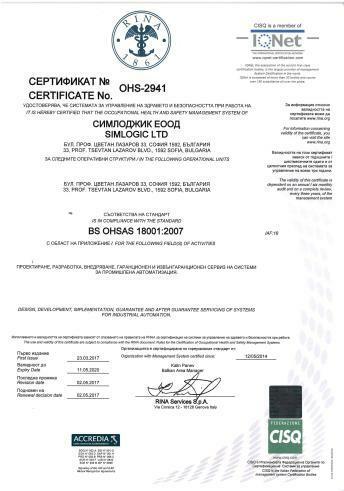 “SIMLOGIC” Ltd. was established in 1996 as an authorized service provider of SIEMENS AG/A&D (automation and drive) – Germany for warranty and non warranty service of SIMATIC S5/S7 systems on the territory of Bulgaria. Copyright © 2019 SimLogic All rights reserved.Done By Ahmed Shaban .